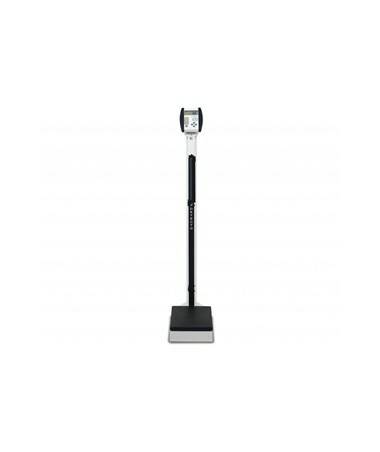 The 6337 ProMed® Eye-Level Digital Physician Scale is a heavy-duty scale with a weight capacity of 550 lbs. Designed for years of heavy use, it is made from durable steel with the quality-grade construction you can expect from products manufactured in the USA. 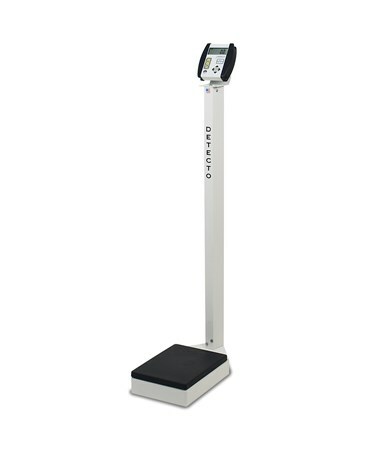 The 6337 ProMed® Eye-Level Digital Physician Scale series is designed with a spacious weight platform and a heavy steel base for patient stability during weighing. It's scale mechanism meets the medical-grade accuracy required in professional settings. 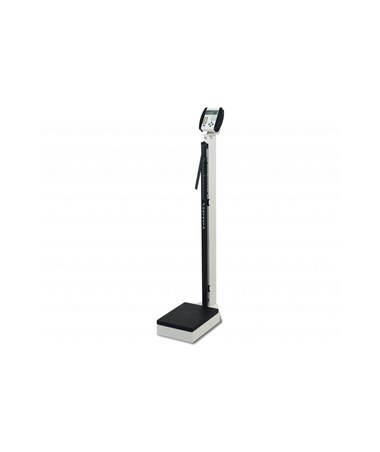 The scale is equipped with a 750 Digital Weight Indicator which produces extra-large, 0.75 inch high digits on an easy-to-read LCD display. Weight and BMI indicators which can be accessed easily with user-friendly scroll keys. As electronic record keeping has become widespread, the scale is designed to be EMR/EHR-ready with an RS232 serial port. 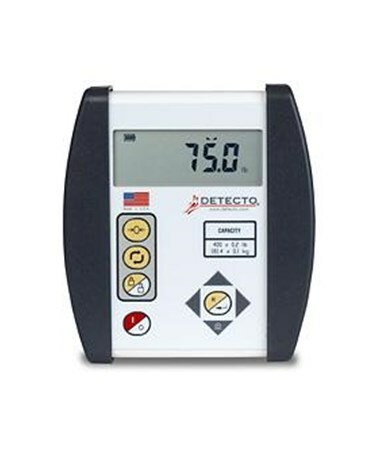 Large 3/4"-high LCD digits for easy visibility of weight and BMI readouts. 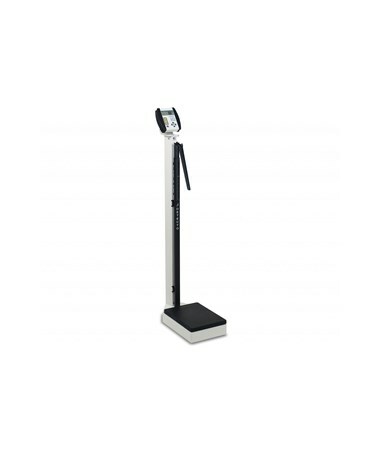 Highest-quality eye-level digital physician scale within its price category. Made with U.S.A. quality and durability. Streamlined design and slim shape. Easy Body Mass Index calculation. Heavy-duty, USA-built, all-steel manufactured product for long-lasting durability. Spacious weighing platform with heavy steel base. 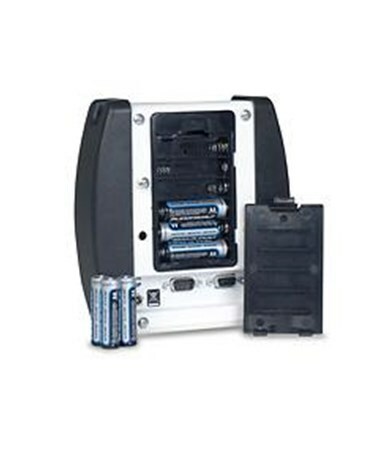 Supports Alkaline or NiCad rechargeable batteries and optional AC adapter. 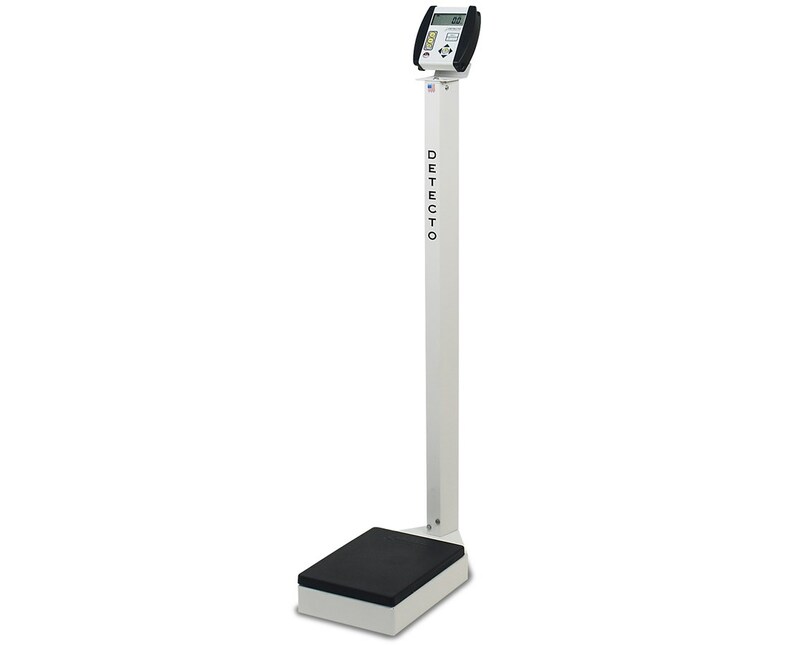 500 lb /225 kg x 0.2 lb / 100 g, high-capacity digital scale. Lock/Release key for viewing weight after the patient steps away from the scale. Unit conversion for LB or KG. Weight Limit 550 lbs. / 225 kg.